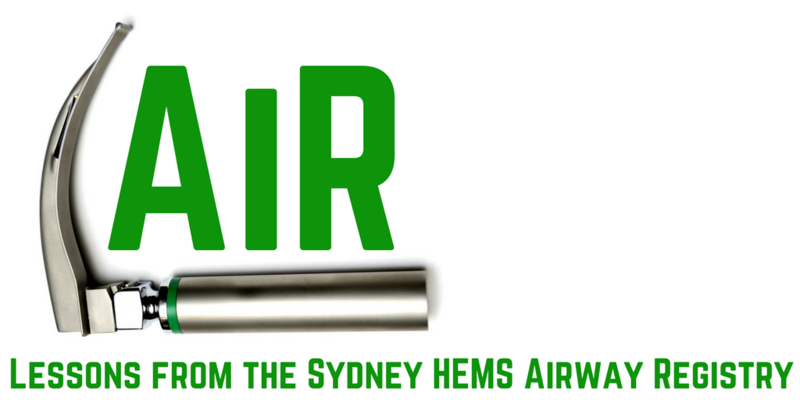 Airway Registry learning points reflect the challenges described and wisdom shared by Sydney HEMS personnel and guests at the Clinical Governance Airway Registry presentations for August 2018. Cases are discussed non-contemporaneously, anonymised and amalgamated over a time period to draw together unifying take-home messages. Details of specific cases are removed and/or changed, such that any similarity to real-life patients or scenarios is coincidental. All CMAC videos are shared under a Creative Commons Licence: Attribution 2.0 Generic. Please familiarise yourself with the terms of the licence before reusing our videos. Since we started using the CMAC Pocket Monitor (Oct/Nov 2017), we’ve noticed our team has been choosing to use the CMAC in paediatric age groups (as opposed to a standard direct laryngoscopy approach with a short laryngoscope handle and Miller 1 or Mac 2 blade). Note the similarities in blade profile over the distal blade tip. We suspect the option of VL with our CMAC pocket monitors outweighs the slight difference in Mac 2 blade shape. Of course teams must be aware of depth of blade insertion. A case we discussed in greater detail was a patient who proved to be a difficult laryngoscopy. After inserting the laryngoscope (CMAC pocket monitor Mac 4 blade), no identifiable structures were seen by the first practitioner. 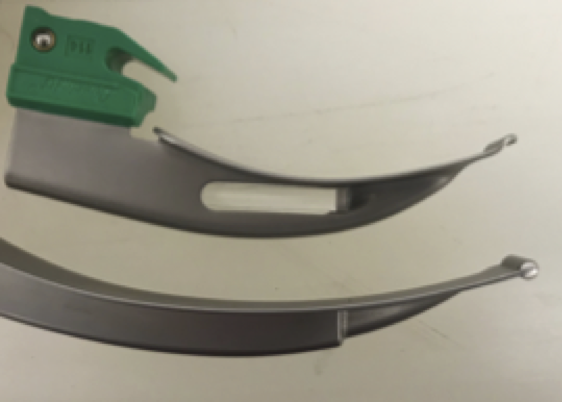 They performed 30s drills including fully inserting and withdrawing the laryngoscope blade, expecting to see the larynx appear from above on withdrawing the blade – which did not happen. After a period of ventilation another practitioner performed a midline laryngoscopy revealing uvula and epiglottis leading to a successful intubation. On reviewing the CMAC footage, it appears the first laryngoscopy was along the right border of the pharynx up against the tonsillar pillars, which might explain why fully inserting and withdrawing did not help. Following the identifiable midline structures from teeth to uvula to epiglottis is another technique which can lead to the epiglottis, especially when no structures have been found on initial attempt. A 60kg 14yo was intubated uneventfully, but the team noted the ETT was sitting at 18cm to lips. Concerned about the ETT being too short, they repeated laryngoscopy and saw this. The ETT cuff balloon is herniating above the cords. The balloon was deflated and tube inserted with the cuff beyond the cords. An adult laryngoscopy revealed a hole – but an oesophageal hole not a trachea – note the arytenoids and posterior glottis structures that define the glottic opening. An adult male had taken an overdose and was initially managed by lateral positioning, nasopharyngeal airway and a nasogastric tube. His GCS was dropping so he was intubated for transfer. At laryngoscopy the team got a surprise; the NGT was seen coiled in the pharynx. His nasopharyngeal airway is also seen in this video. You can see all the AiR videos here on our Vimeo page or here on the blog. This entry was posted in Airway, Airway Registry, General PH&RM and tagged advanced airway, AiR, airway, paediatric airway, paediatrics. Bookmark the permalink.